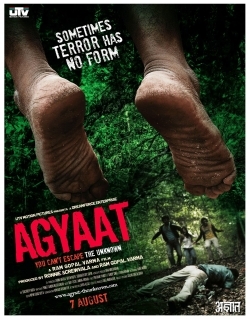 Agyaat is a 2009 Indian Bollywood suspense thriller, thriller film released on Jul 2009. The film is directed by Ram Gopal Varma, produced by Ronnie Screwvala under banner named Utv Motion Pictures. The story of Agyaat is a thriller movie which goes around a film unit. The film units go to a jungle for a shoot and are disappeared. The shoot is put on hold when a camera bugs and they have to wait for a replacement. This unit decides to go on a trek into the jungle with the superintendent of the jungle. When the caretaker is found drubbed one night the confusion and despair of the darkness the things go on changing. Their lives take a 360 degree turn which is the most challenging phase of their lives. We see change in their approach, their behavior and the film is hovered to judge whether mankind’s survival hunch can abound over the darkness of a world they cannot imagine. Check out this page for more updates on Agyaat. Ramgopal Varma thinks differently. This time too the maverick film-maker defies the stereotype and takes to the dense forests of Sri Lanka to meet an 'unknown' force. But let's cl..
At a running time of one hour and forty minutes, Ramgopal Varma's Agyaat is an interesting experiment that doesn't overstay its welcome. When a film unit goes into a forest for sh..
Now this one's a big disappointment from a director who has already proved his forte with the horror genre with goosebump Now this one's a big disappointment from a director who h.. There's a very thin line between a truly scary horror film, and one that looks like a comedy. Even a classic like The Evil Dead is no exception. It may have chilled your spine whe..
A spooky adventure set in a dense jungle is an interesting premise. And when you have someone like Ram Gopal Varma at the helm, you go in expecting a paisa-vasool thriller. Sadly,.. I just got back from Agyaat and I am not done laughing yet. Ram Gopal Varma's thriller is seriously, decidedly, indisputably funny -- in the ridiculous dialogues recycled by the c.. 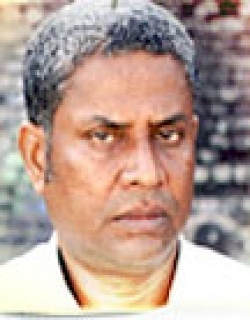 This page provides latest and updated information about Agyaat (2009) movie which released on Jul 2009. Agyaat (2009) is directed by , produced by , starring .We have also provided 0 trailers and videos, 4 photos, 63 user reviews, and 7 critic reviews.Agyaat (2009) has received 2.5 rating from user reviews.The movie has received 1.6 rating from critic reviews. 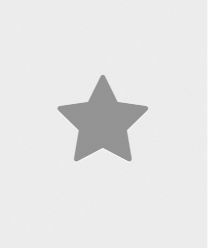 The overall rating of Agyaat (2009) is 36 and movie is 1.8.You can review, like, dislike this movie and also can add to favorites. You can also find information on showtimes, CDs, DVDs, online rental, online free watching.